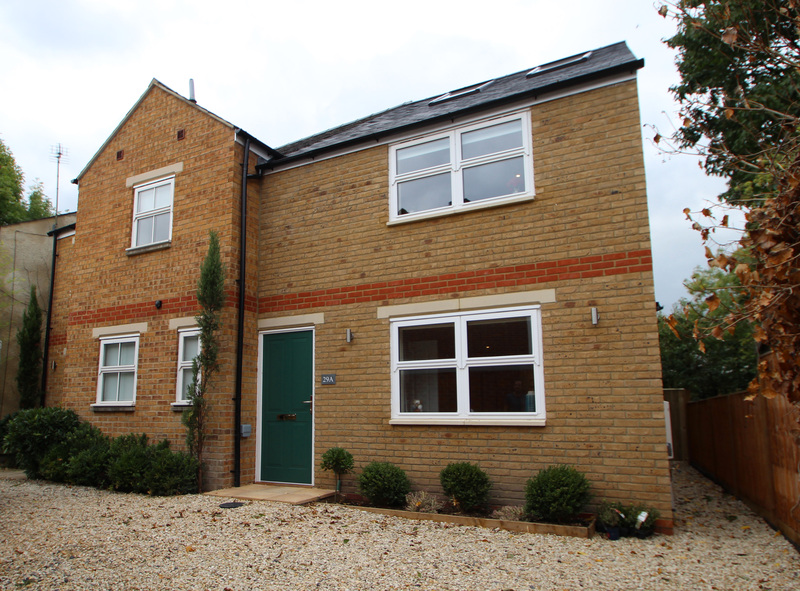 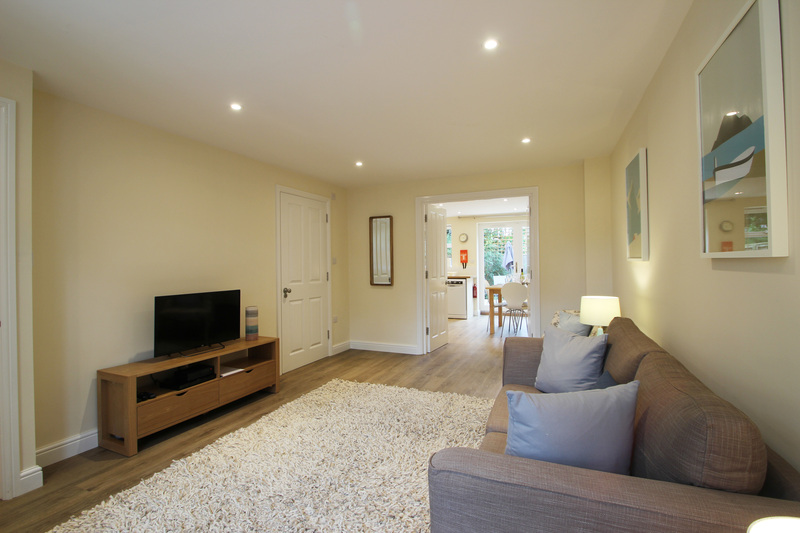 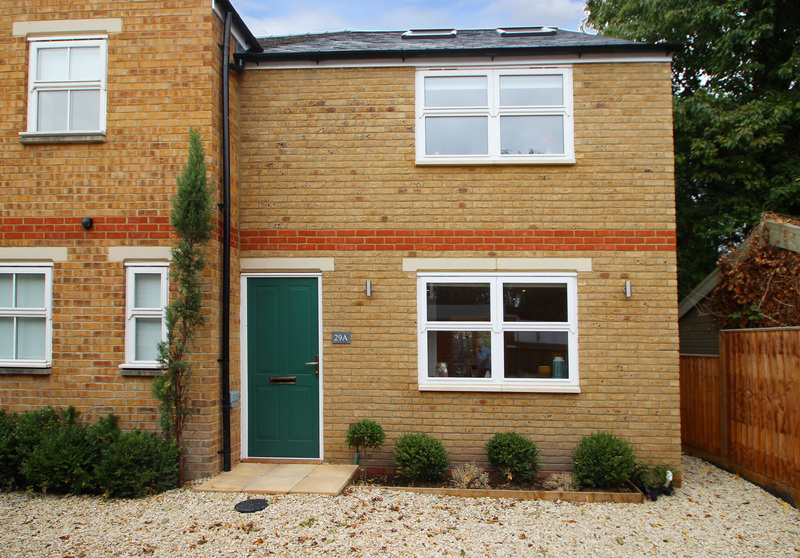 Spacious, modern and newly built three-bedroom townhouse with a garden. 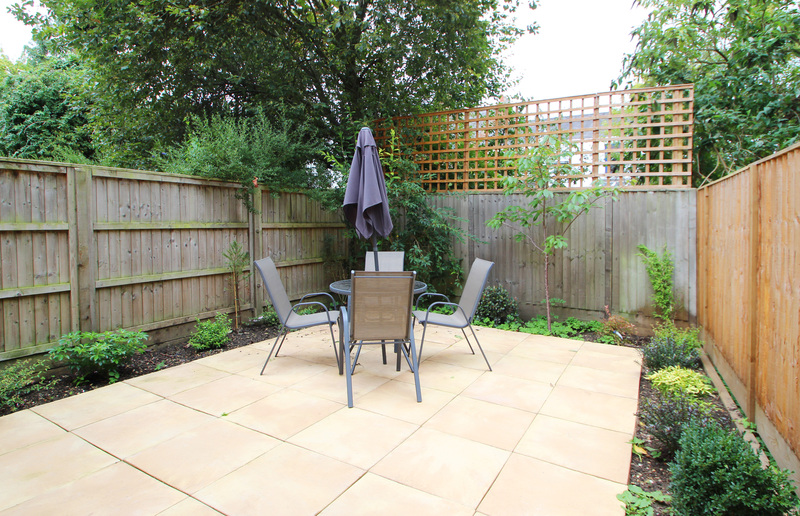 Off-road parking for one car may be provided upon request. 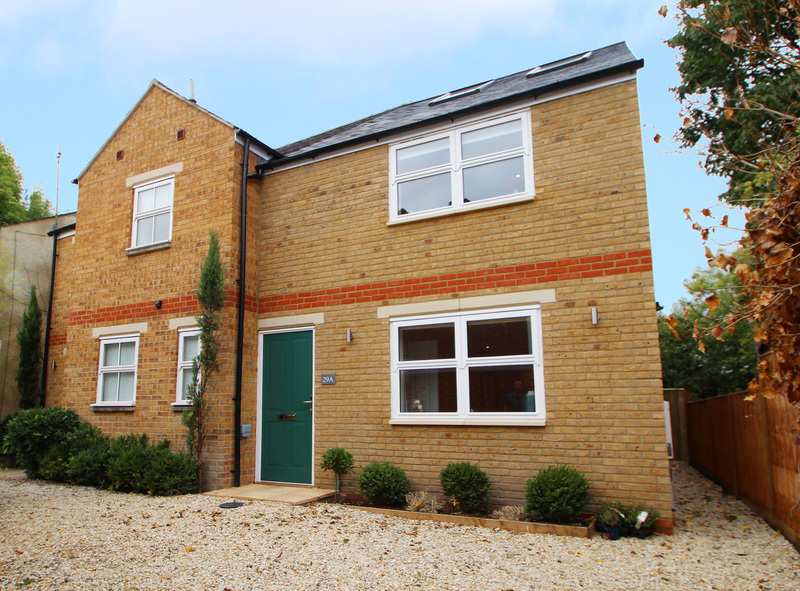 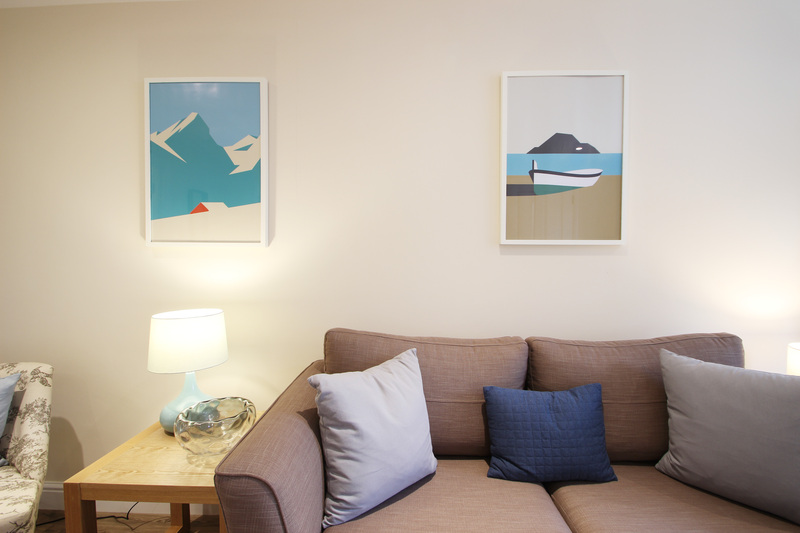 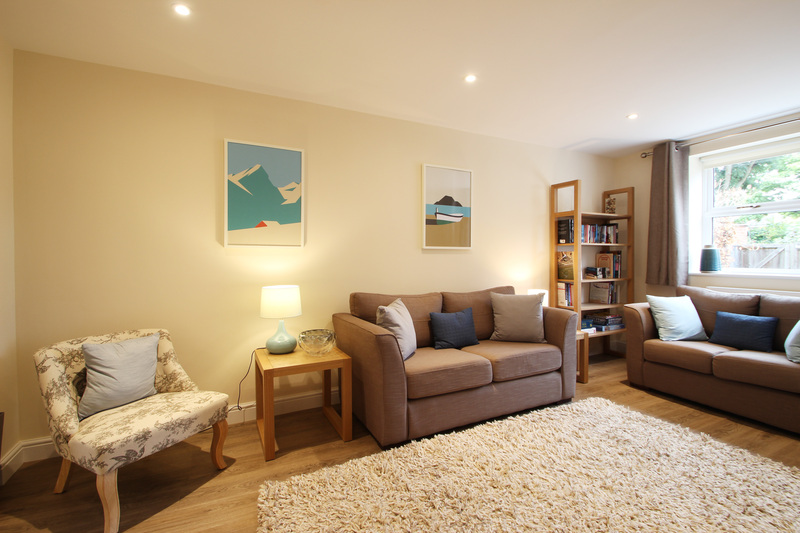 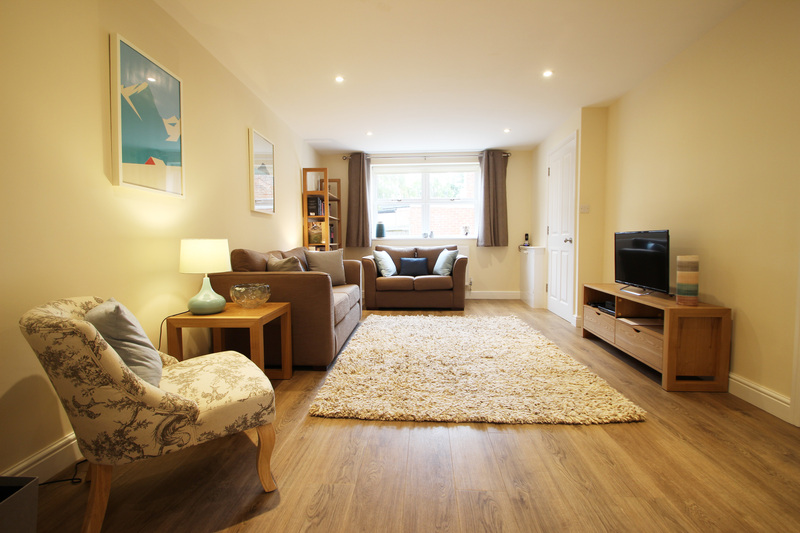 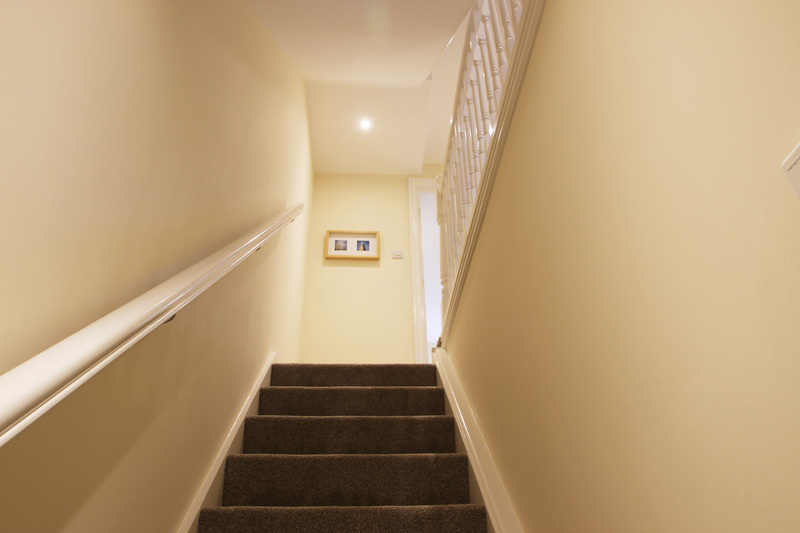 Spacious, modern and newly built three-bedroom townhouse with two bathrooms and a garden. 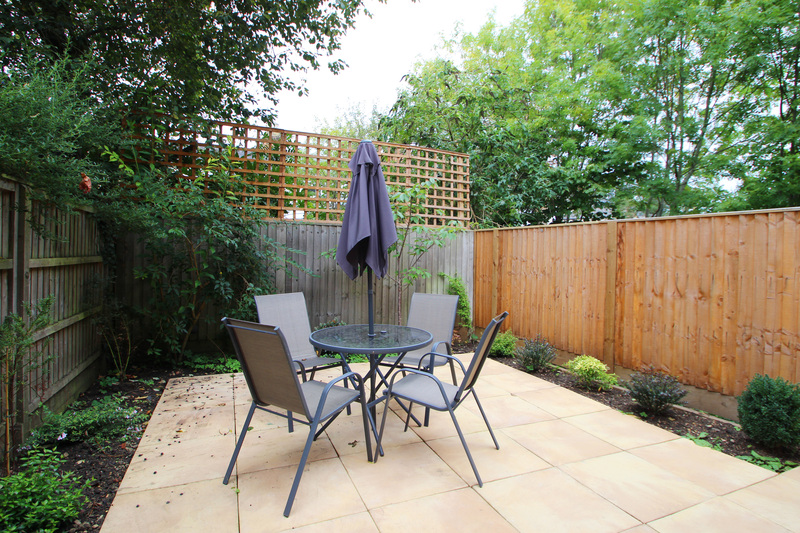 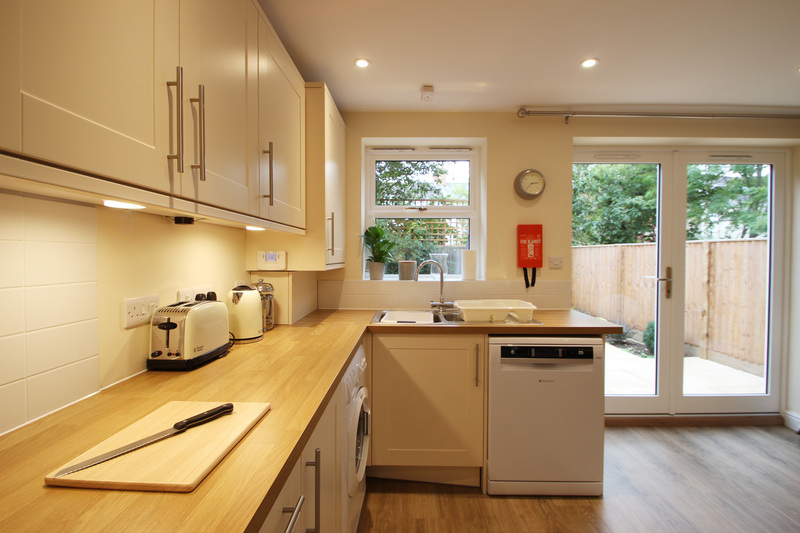 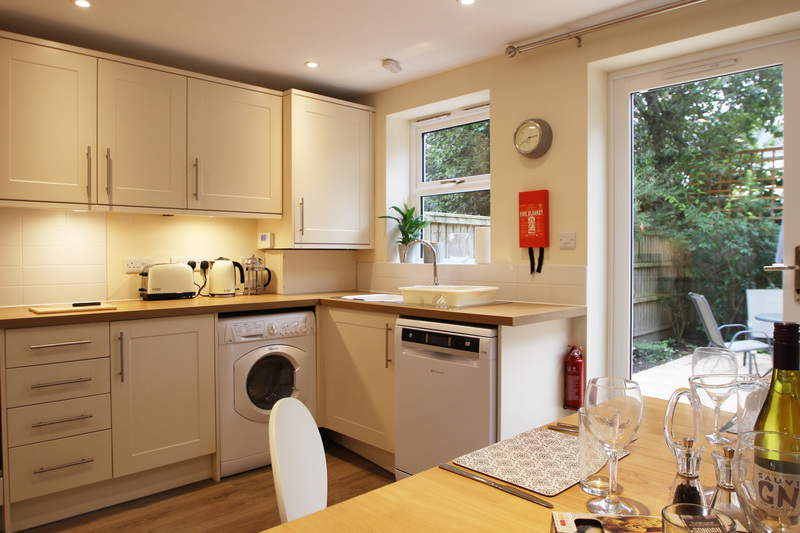 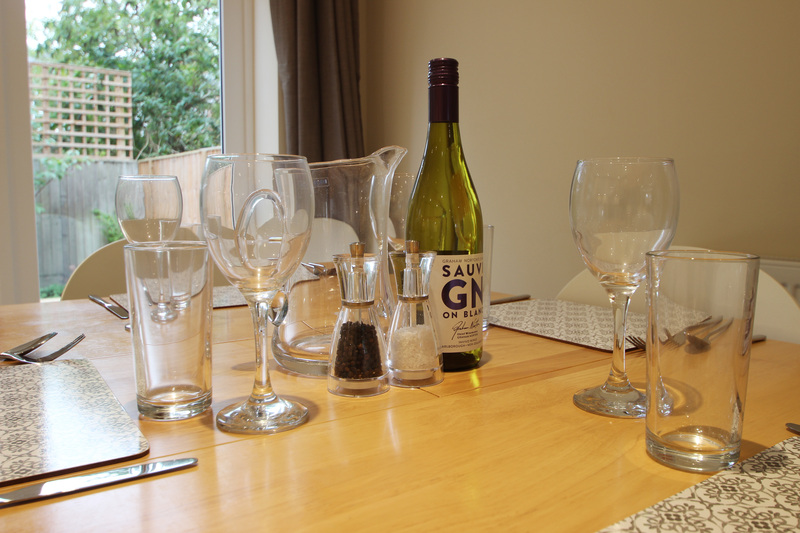 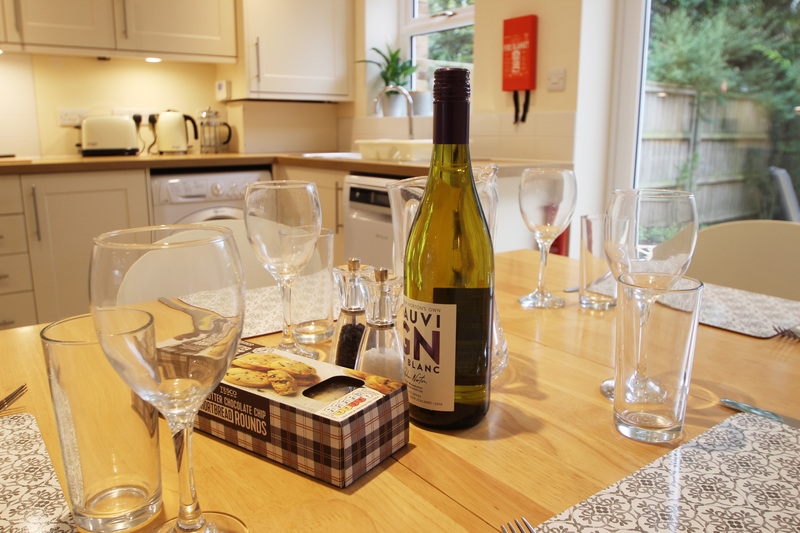 Located in vibrant East Oxford, the property is on a quiet side street off Cowley Road near to the area’s restaurants, bars and cafés, and is a short walk from South Park. 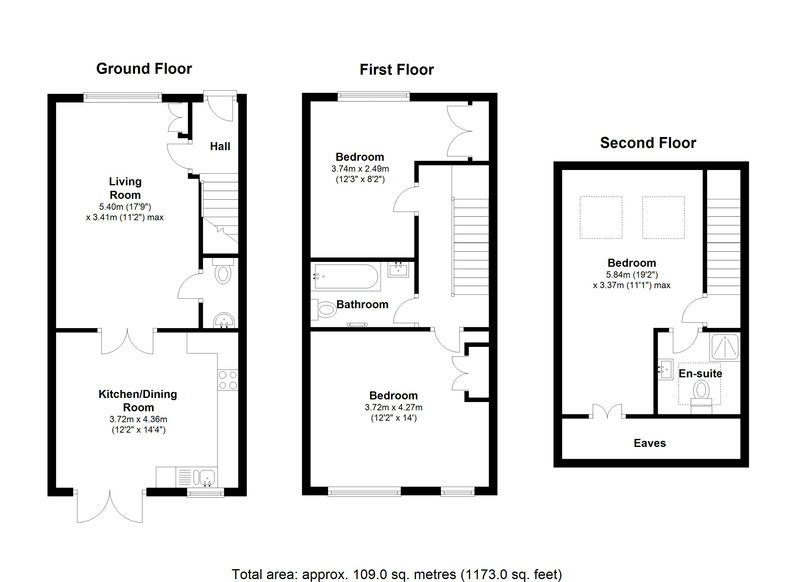 Parking for one car may be provided upon request. 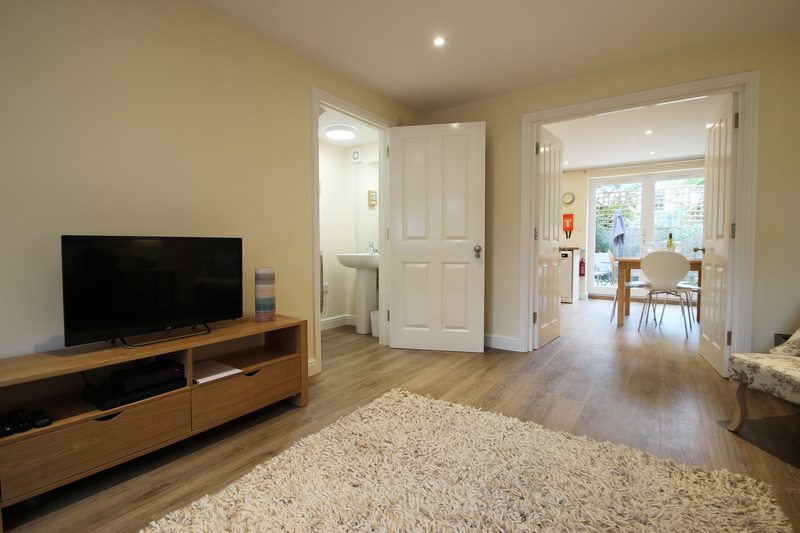 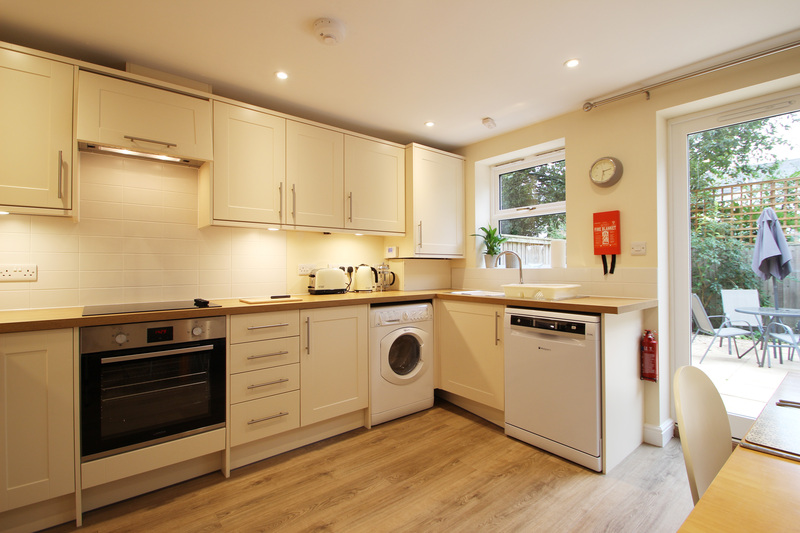 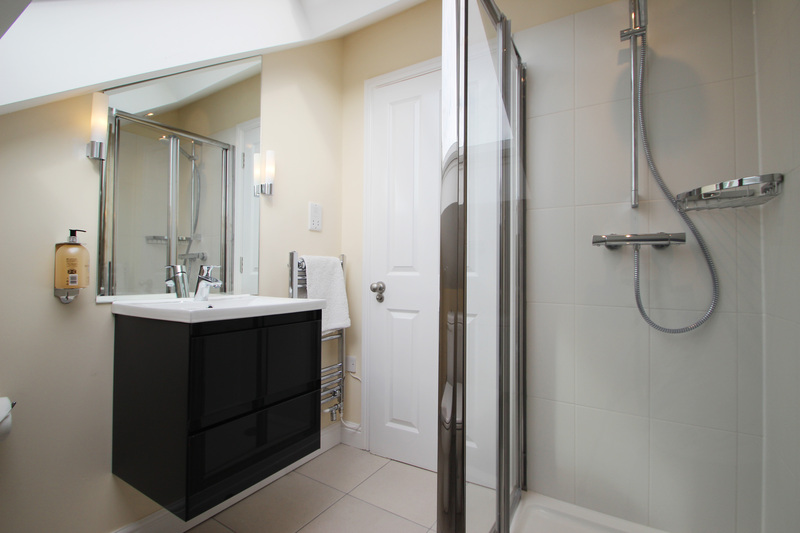 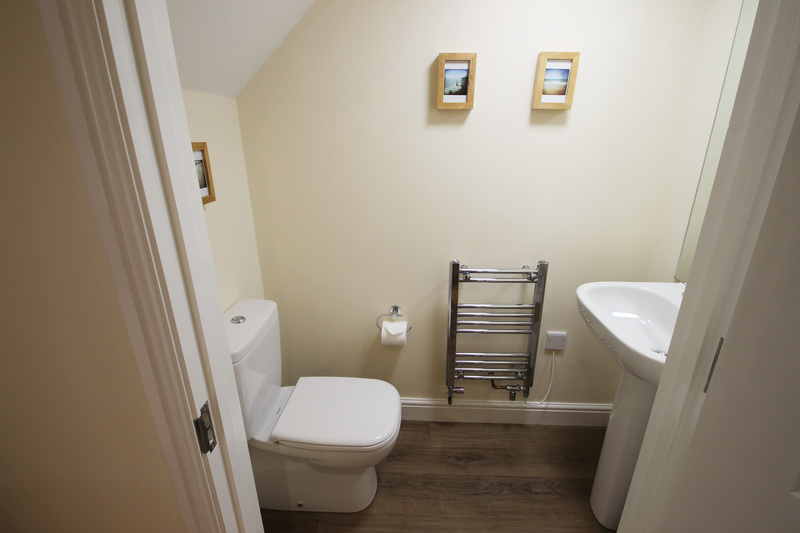 The property comprises an open-plan kitchen-diner, a living room, three double bedrooms, a bathroom, an en-suite shower room and a downstairs cloakroom with WC. 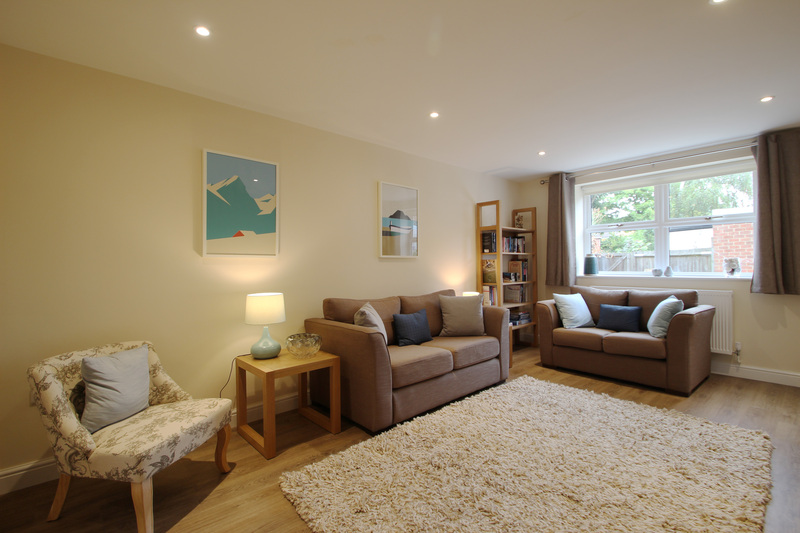 Decorated using cream and mid-toned wood, and with the soft furnishings in a range of muted purples and greys, the space has a comfortable, understated luxury feel to it. 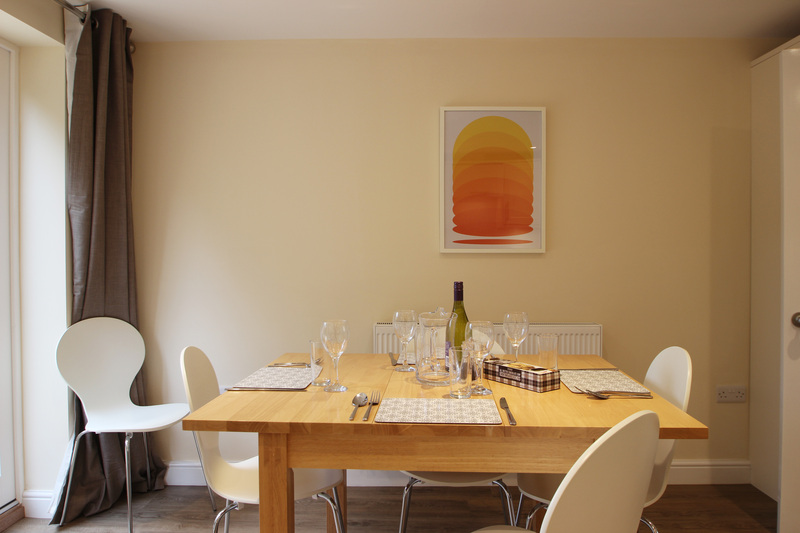 There is dining seating for six and living seating for five. 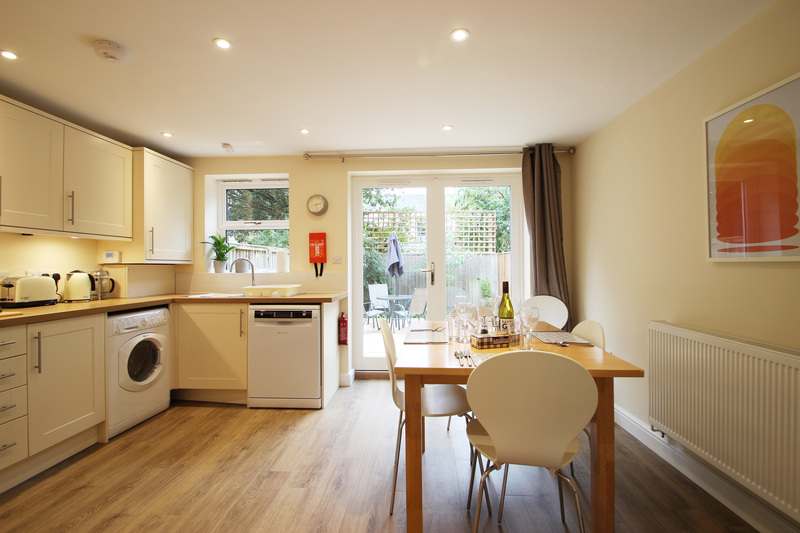 The kitchen is fully equipped and opens onto a patio garden, which has outdoor seating for four and is perfect for al fresco dining. 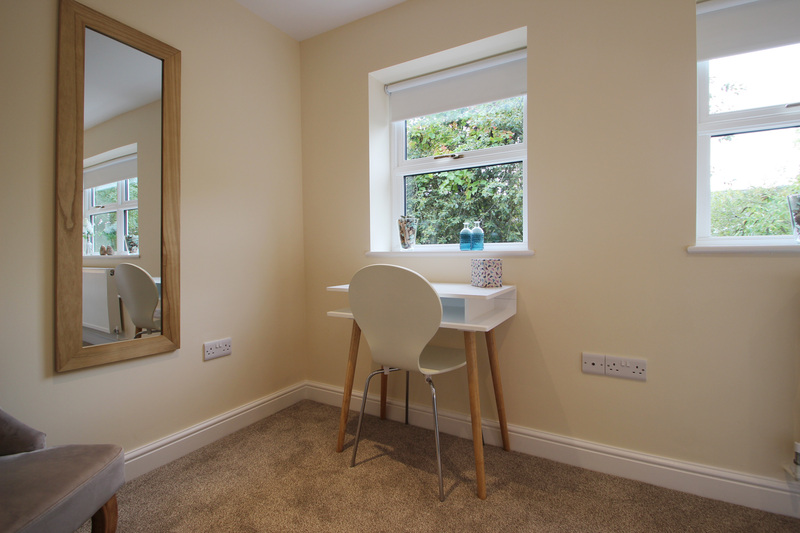 The master bedroom has a double bed, study area (with an extra chair to make up the six dining chairs) and fitted wardrobes. 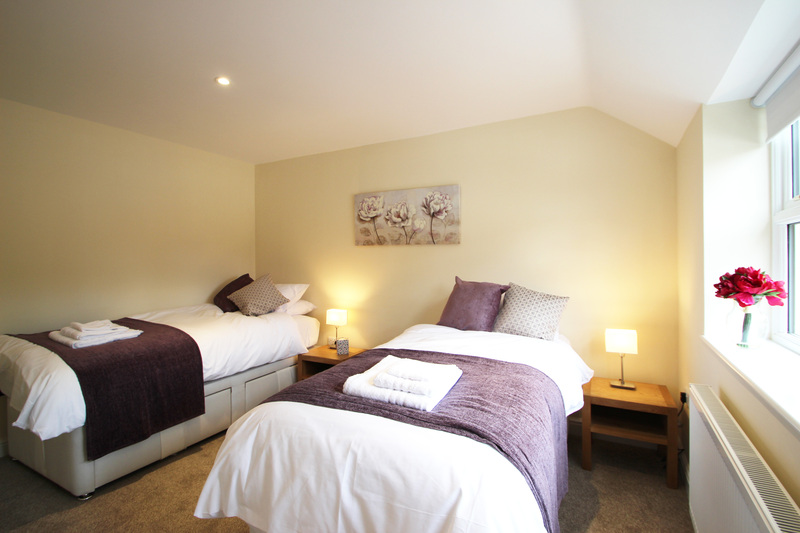 The second bedroom has twin beds and fitted wardrobes. 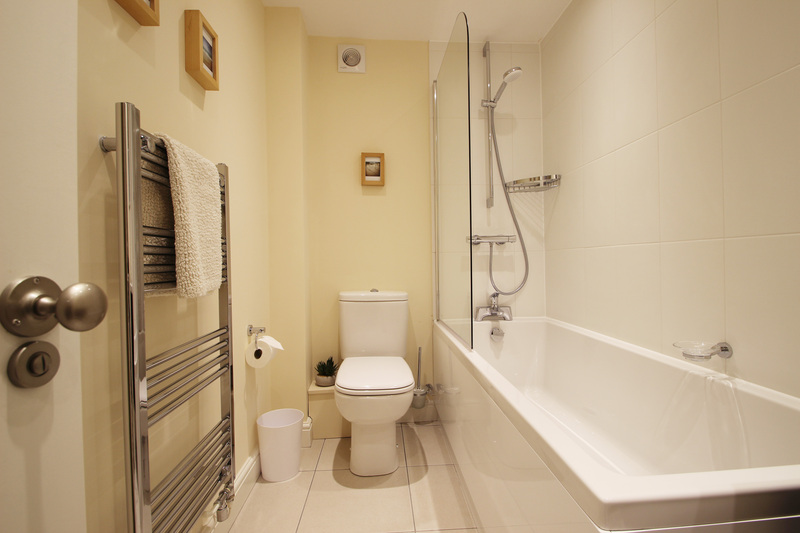 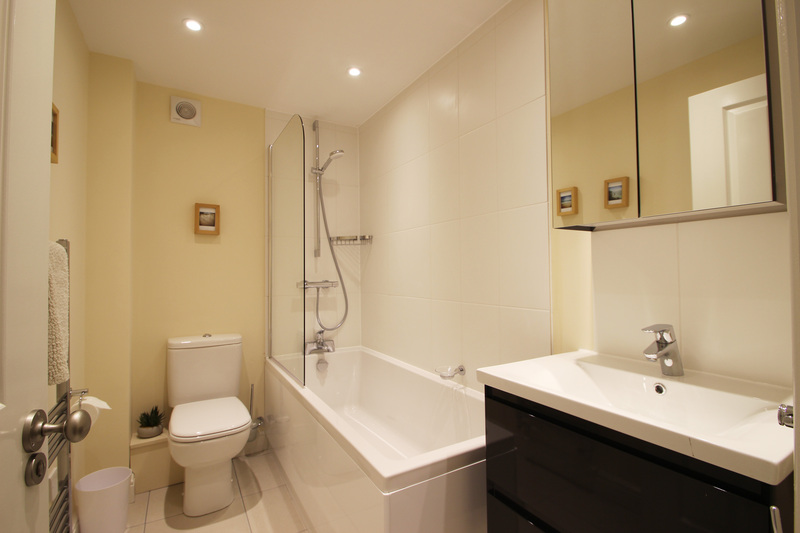 Between the bedrooms is a bathroom with bath and over-bath shower. 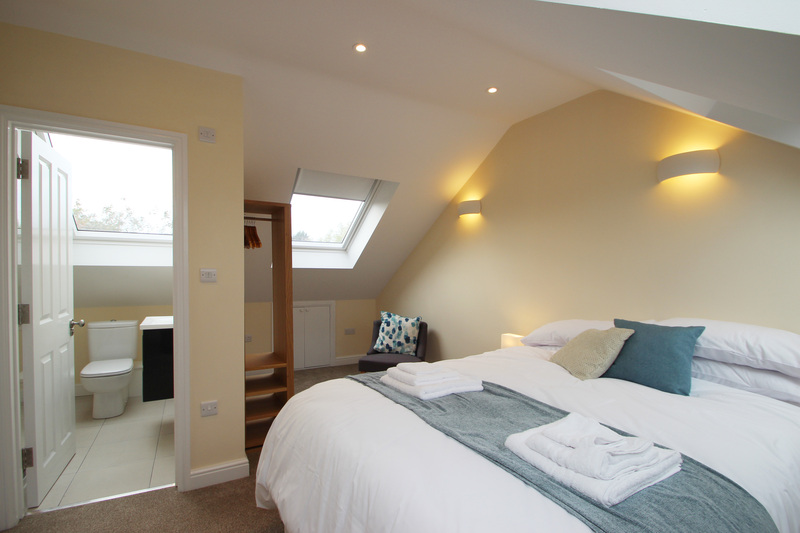 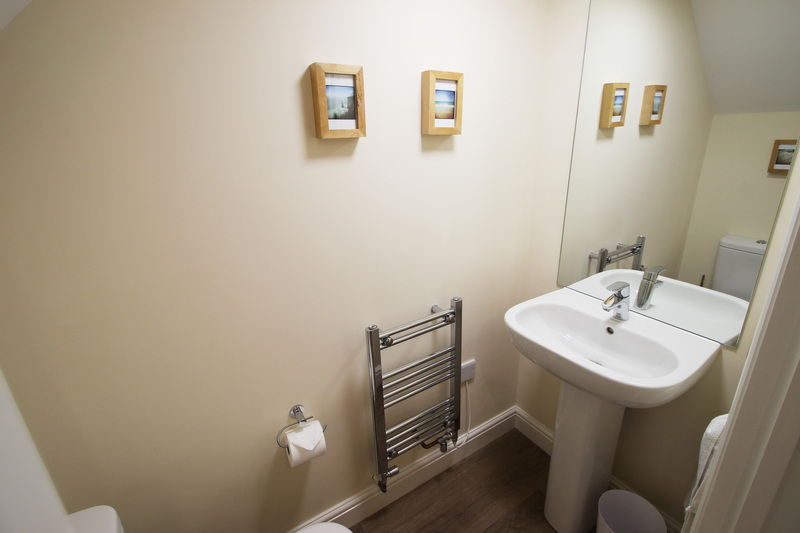 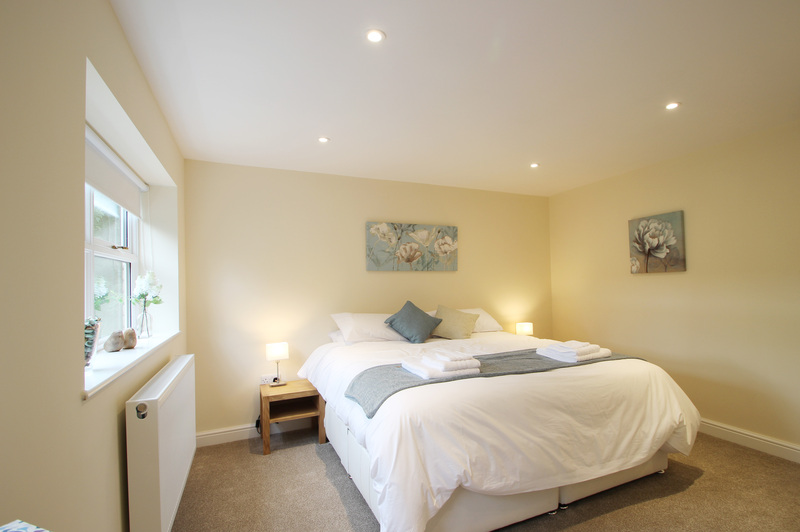 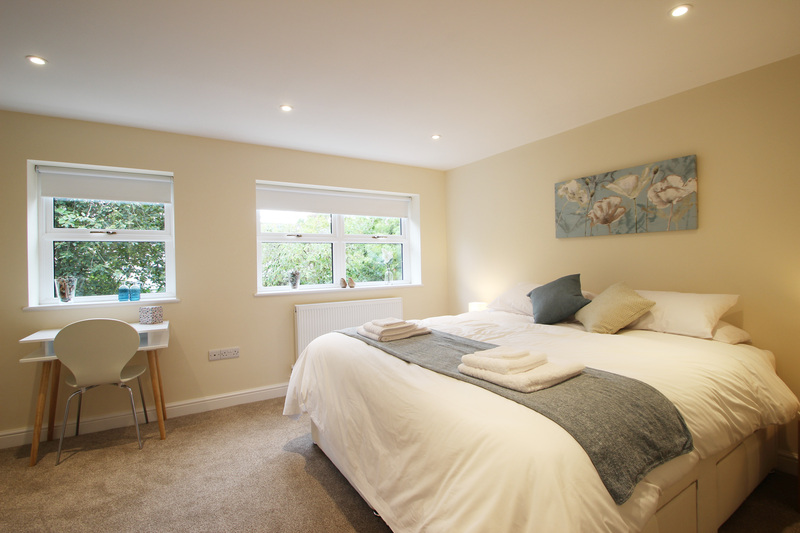 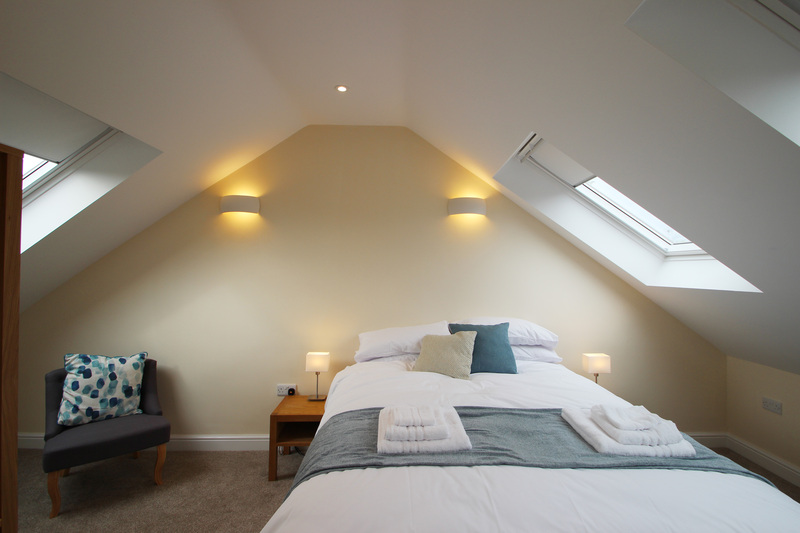 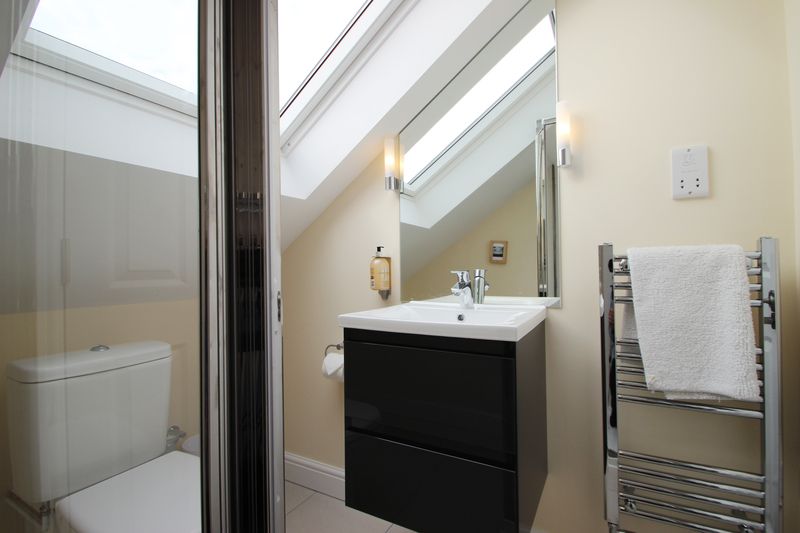 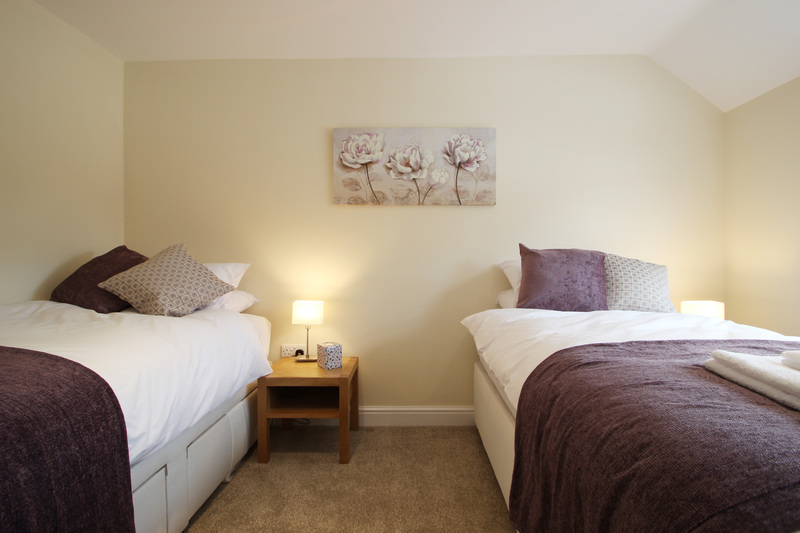 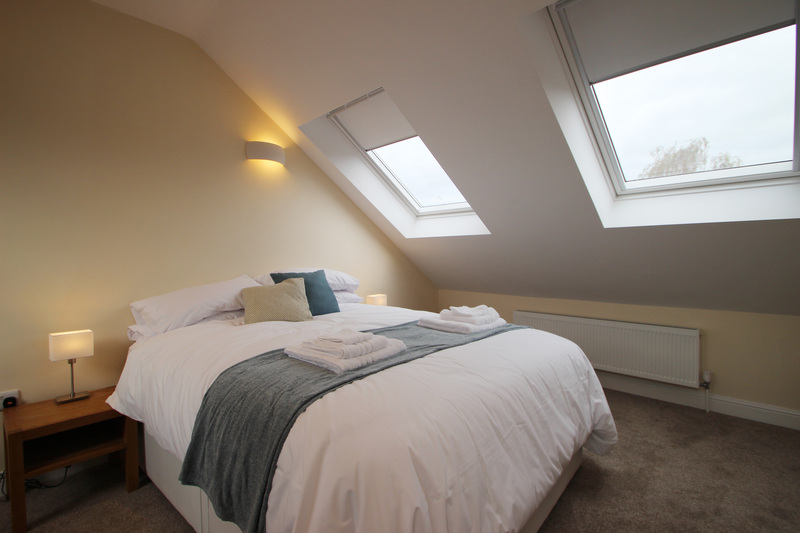 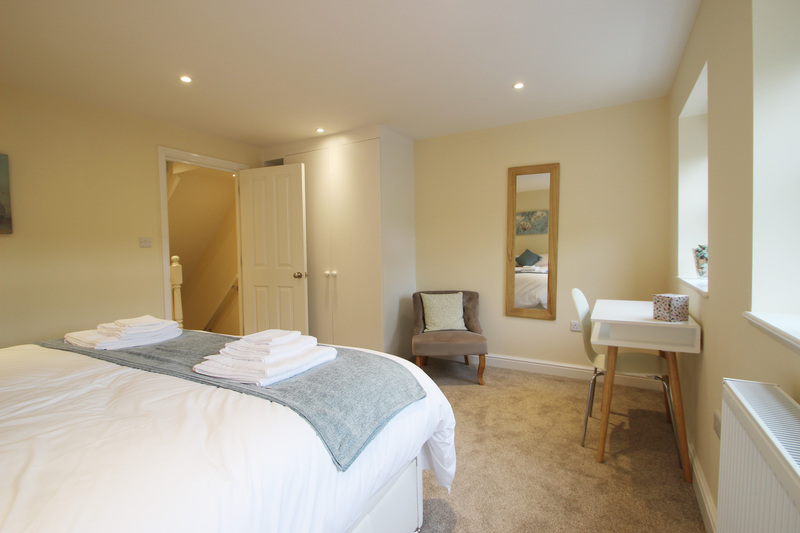 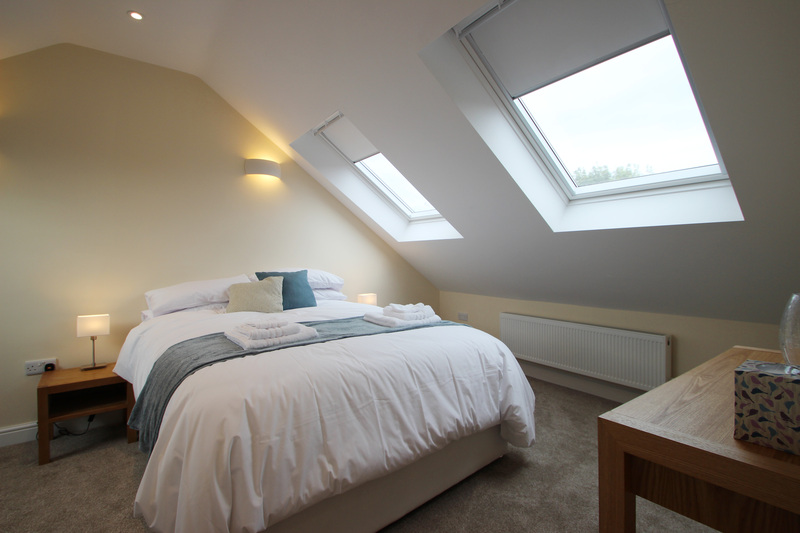 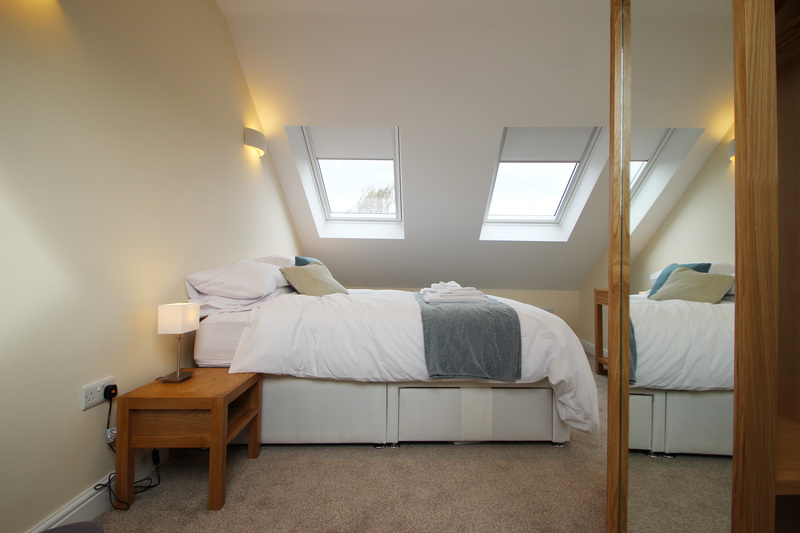 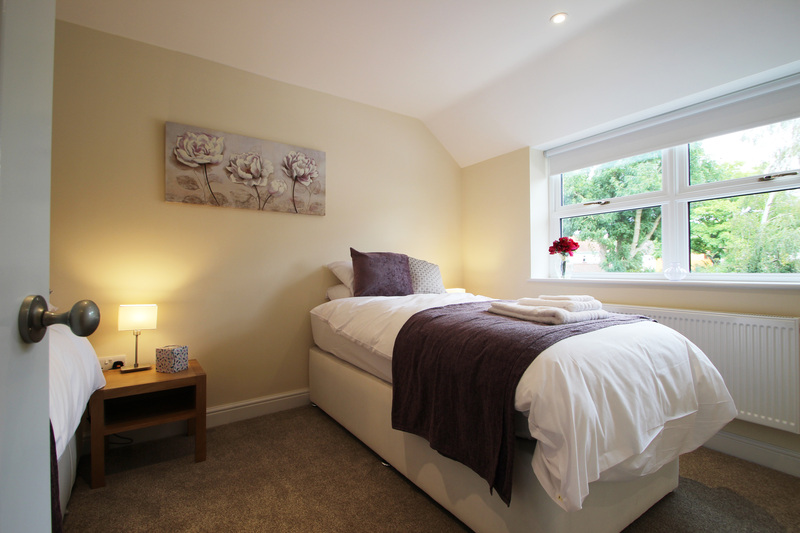 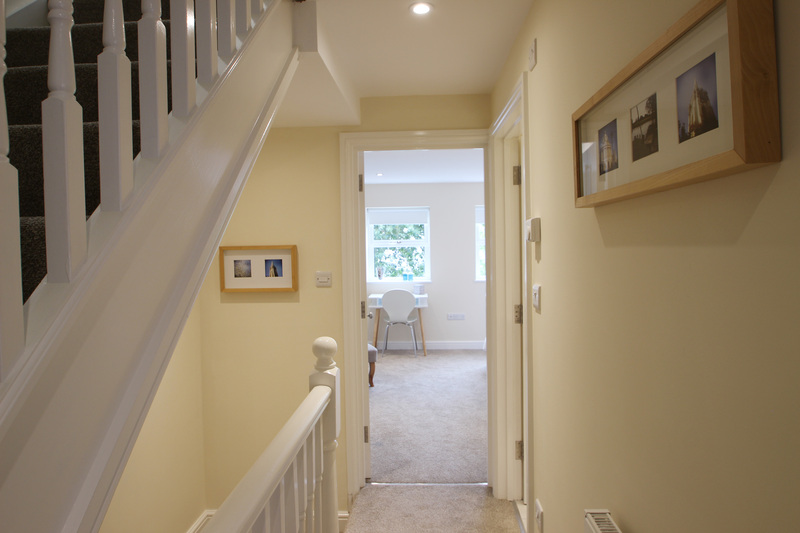 On the second floor, the loft bedroom has a double bed, under-eaves storage, and an en-suite shower room – both the bedroom and shower room have a lot of natural light from skylights. 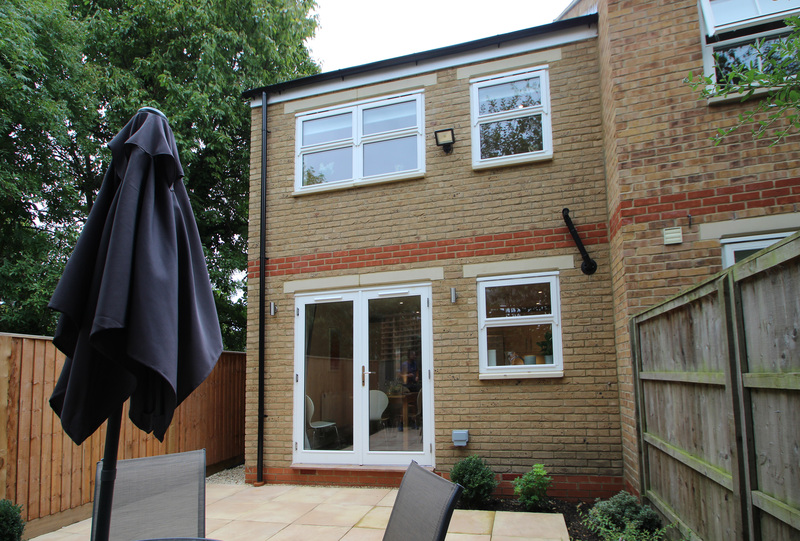 The property is between South Park and the restaurants, bars, cafés and vibrant nightlife of the Cowley Road and St Clement’s area in East Oxford. 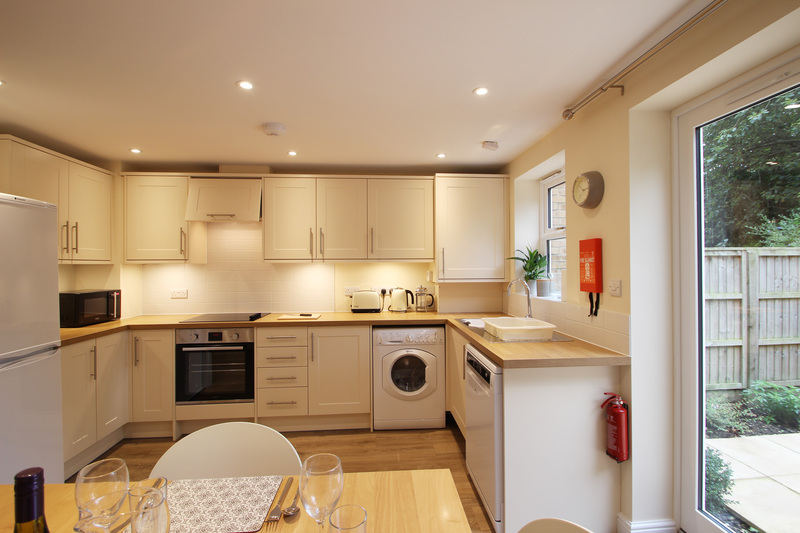 The city centre, from which you can access Oxford’s main attractions, amenities, shopping and nightlife, is a short bus ride away.